In this episode we discuss the maturity of the Hadoop ecosystem and how hard it currently still is to get the value out of data. In the main section, we will have the second part of the interview with Alan Gates, this time talking about the place Hive has in the ecosystem. We still have more from Alan so stay tuned for more Hive goodness in future episodes! 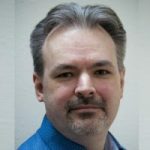 Here is the second part of our interview with Alan Gates where he talks about Apache Hive.